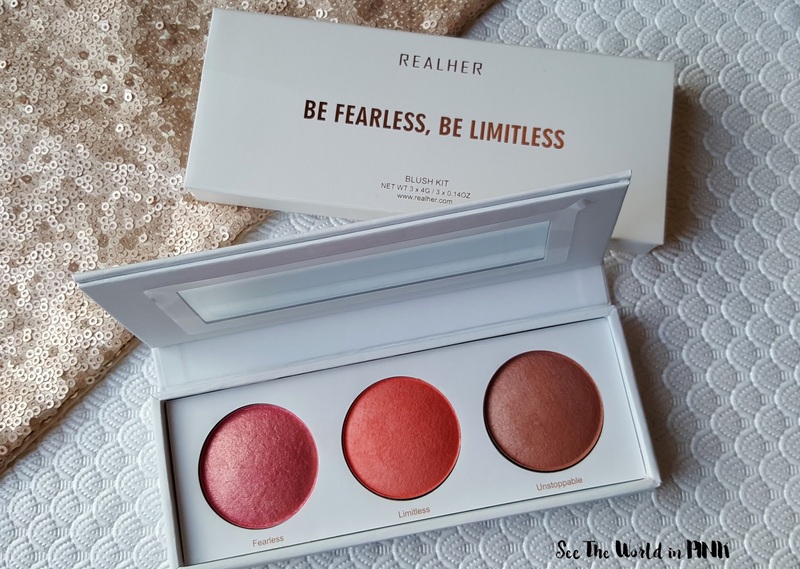 RealHer Be Fearless, Be Limitless Blush Kit ~ $32.00. 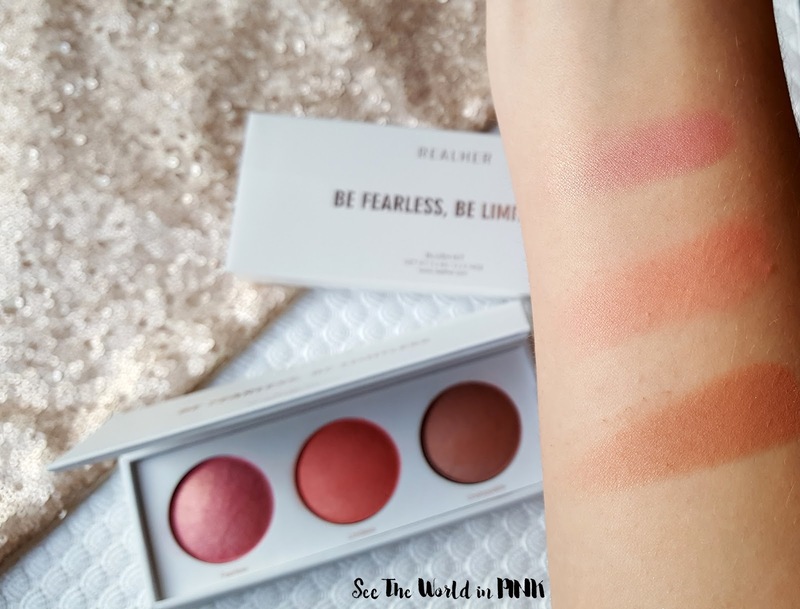 Treat your cheeks to a multi-dimensional, natural flush with this RealHer Blush Kit- Be Fearless, Be Limitless. I was a little worried when I first saw these as Fearless and Unstoppable seemed really shimmery. Also, Limitless was really difficult to swatch; but, eventually when I did get through to the colour, it was beautiful! The other shades actually look prettier than I expected on the skin! 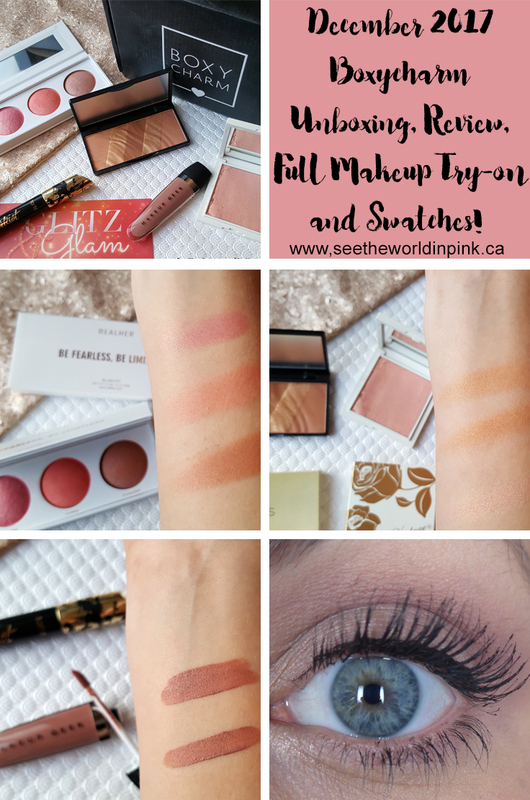 I think there is a really nice range in all 3 of the blush shades and I actually think they are all really pretty! Beaute Basics - Bronze Essentials ~ $39.95. Use individually or mix together for your ultimate Bronze and Glow. So this comes with 3 different matte bronzer shades and 2 shimmer gold pressed powders. I'm going to state the obvious - it would be almost impossible to try and use the bronzer shades individually as they are too small to get a brush in to. Instead you will just have to swirl a big brush through it all. The formula of this bronzer is really powdery and I don't usually like shimmery bronzers. The color did look nice on; but, there is no way I would pay $40 for this. So, this is my repeat item - I received this in my November 2016 Boxycharm and it actually made my Monthly Favorites in January of this year! The Rose Gold is beautiful and I like this... I just won't use this one as I have it already. 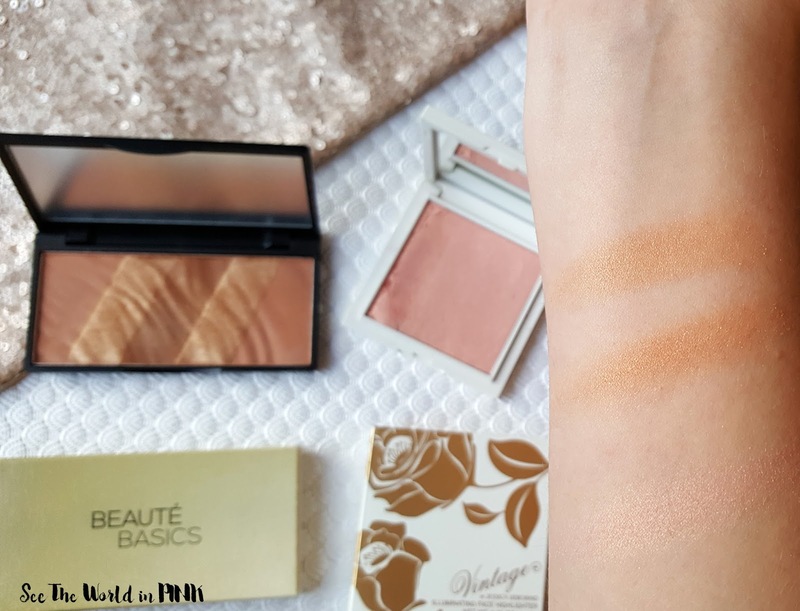 Here is the bronzer and highlighter swatched - they are both pretty colours; but, the bronzer is just too shimmery for me. And, I tried just to swatch the matte shade and it didn't work well. I have tried this mascara in a deluxe sample size before and I wasn't a fan; however, I found I really hated the packaging (it was a pop off top instead of a normal twist off cap) and it just made the mascara really messy and blah. Anyways, I did give this a try this one and I loved it! It made my lashes look amazing! I was very impressed with how long and voluminous it made my lashes look. Now i generally prefer a very full lash look, but I thought this really separated and lengthened and made my eyes look wide and bright! Makeup Geek Show Stopper Creme Stain ~ $12.00. Makeup Geek Showstopper Creme Stain will ensure you’re the center of attention! Use the precision applicator for a light feel on the lips throughout the day! What's really weird is there is no indication anywhere as to what shade we received?! I'm going to guess that we got "Quickstep" as it's described as a cool toned beige and when I was applying this the color that came to my mind was greige, so I'm sure that's what this is! I found this took 5 or 6 coats to apply evenly or at all to my lips - the applicator just not pick up a lot of product. This does dry down quite dry (not super uncomfortable) but will transfer a little. 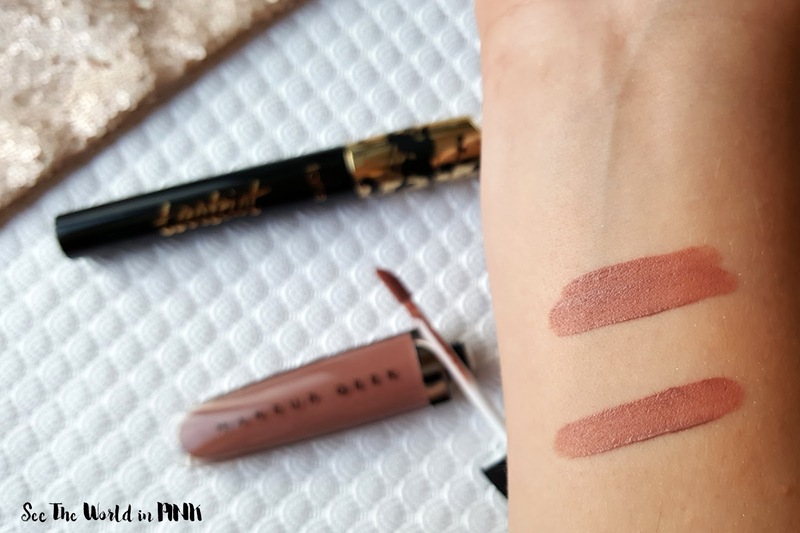 The formula was just okay for me - it lasted a long time without looking too terrible, but it's not my favorite lip formula! Here is the Makeup Geek Showstopper Creme Stain in Quickstep swatched. This is not a color that I would normally reach for at all; but, I will say I actually really like how it looked! I did a cooler toned eye to compliment it and I will wear it again! 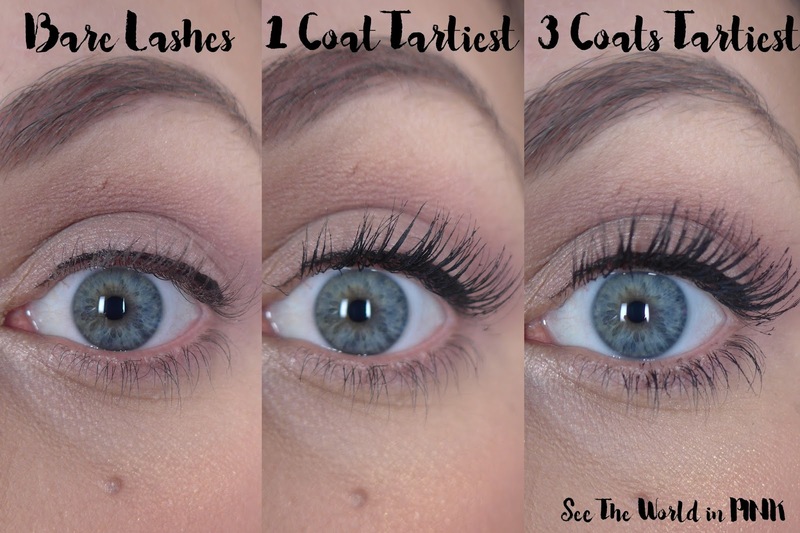 Here is the Tarte Tarteist mascara on my lashes - both 1 coat and 3 coats (because 1 coat is never enough for me!) Also, I keep spelling this wrong - I think it's Tartiest so sorry the picture is wrong! But I think this looks good! 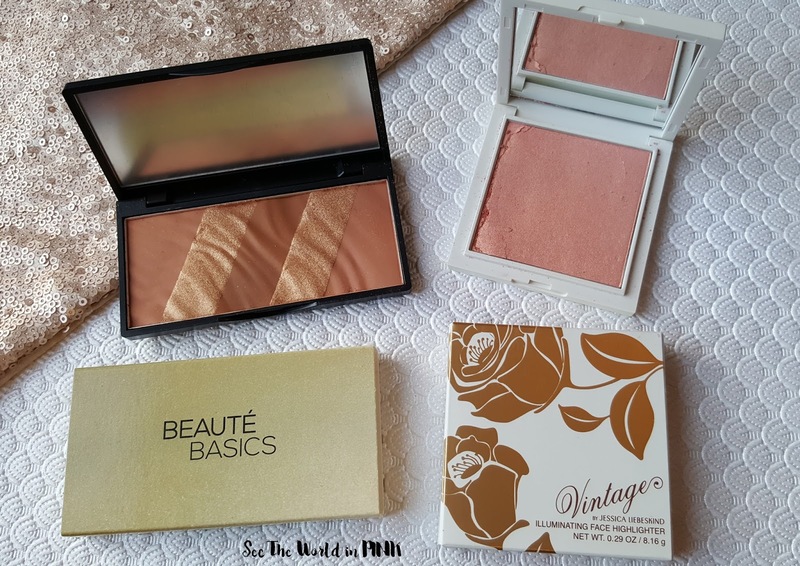 I used the Beaute Basics bronzer, the RealHer blush in Unstoppable (really love this shade! 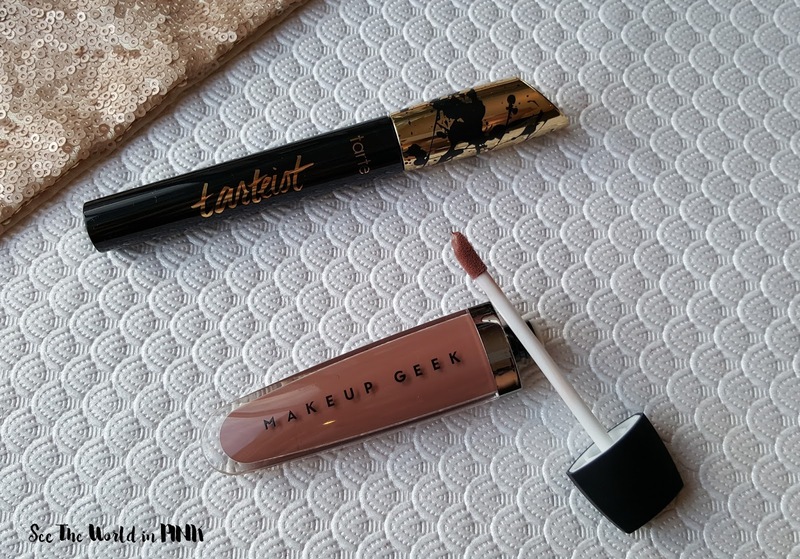 ), the Vintage highlighter in Rose Gold, the Tarteist Mascara on my lashes, and the Makeup Geek Showstopper Creme Stain on my lips! Boxycharm came with 5 full sized items and a value of $145.95. This subscription came with a good variety of all makeup and I love that. I actually initially thought I wasn't going to love this month's subscription; but, the only thing I don't really love is the bronzer because it is too shimmery. 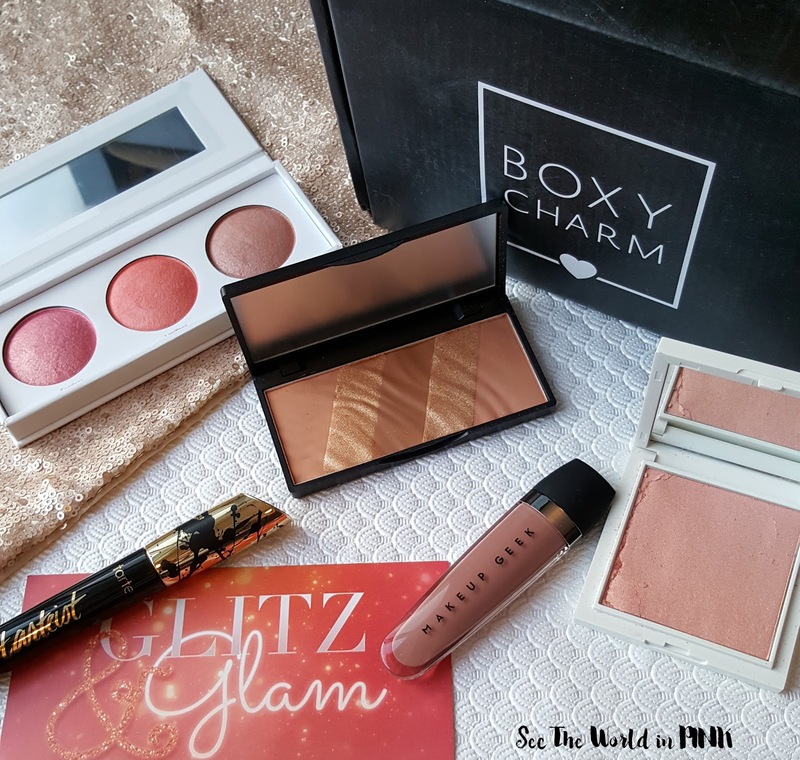 Boxycharm always has a huge value and is well worth the subscription price to me! What did you think of the December Boxycharm?